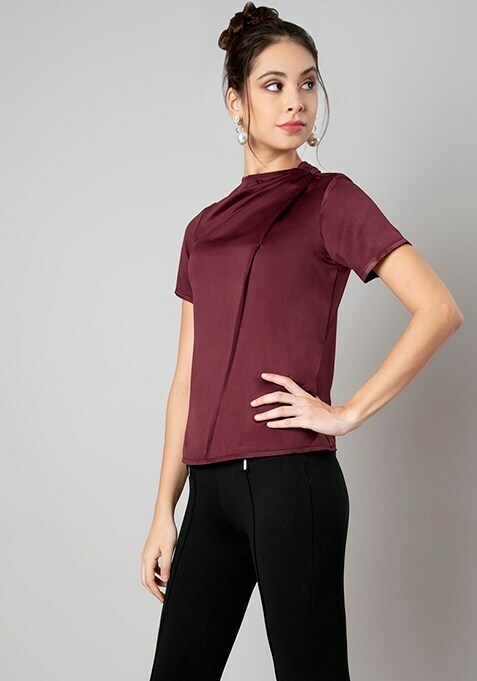 Keep it stylish in the basics like this maroon top that is comfortable and trendy too. Features cowl neck and short sleeves. Work It: Style it with high waist jeans and killer heels for a look to crush on.